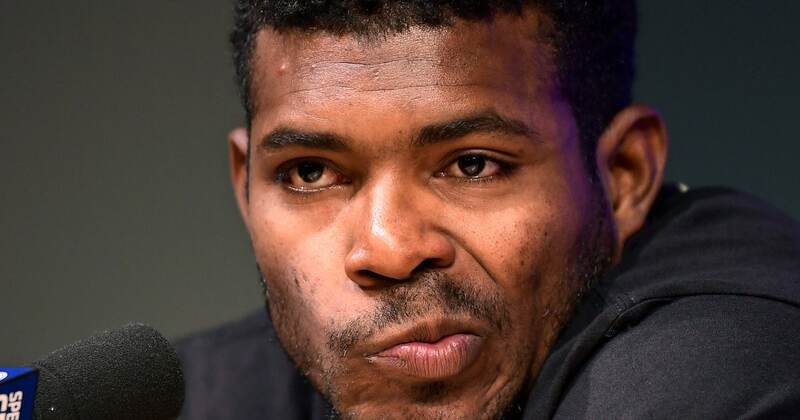 LOS ANGELES (AP) — Yasiel Puig was late arriving to Dodger Stadium in his return to Los Angeles for the first time since being traded to the Cincinnati Reds. The Cuban star missed receiving his National League Championship Series ring in person from Dodgers owner Mark Walter and other front-office personnel on Monday. They presented the jewelry to former Dodgers Matt Kemp, Alex Wood and Kyle Farmer during an informal gathering outside the Reds clubhouse. Puig showed up 70 minutes late to a scheduled news conference with local media. He was part of a seven-player deal with Cincinnati in December that included Kemp, Wood and Farmer. Turner Ward, the former Dodgers hitting coach who is employed in the same role for the Reds, was working in the batting cage and also didn’t visit with Walter, president of baseball operations Andrew Friedman, team president Stan Kasten and manager Dave Roberts.